Lou Ferrigno visited Edinburgh Castle ahead of his appearance at Comic Con Scotland. 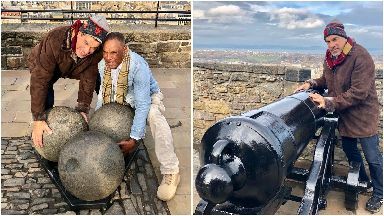 The Incredible Hulk star Lou Ferrigno is having a smashing time in Scotland. 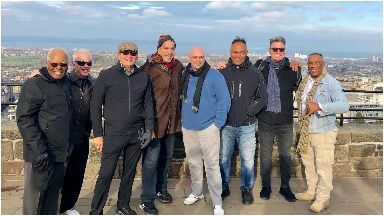 The TV idol and bodybuilding champ was joined by other 80s legends - including Flash Gordon's Sam Jones and Rex Smith from Street Hawk - in Edinburgh ahead of their Comic Con Scotland appearance. Looking decidedly less green than in his Hollywood heyday, Ferrigno celebrated his 67th birthday at Edinburgh Castle on Friday. As reported by STV News previously, Baywatch superstar David Hasselhoff has also been making a splash in the city ahead of the event. Dressed in a Partick Thistle football strip, the 66-year-old Knight Rider star has been sightseeing across the capital. Comic Con Scotland takes place at the Edinburgh International Conference Centre on Saturday and Sunday with a 1980s theme. Other stars appearing include Ghostbusters' Ernie Hudson, ET actor Henry Thomas and seventh Doctor Sylvester McCoy.